You might remember Rediscover Analog’s recent post on her 2019 bullet journal setup in her Rhodia Goalbook. As a follow-up, she did a post on Alternative Uses for the Perpetual Calendars in the Goalbook. The Rhodia Goalbook has lots of features designed for bullet journaling including index pages and numbered dot grid pages. There are also a couple of different perpetual calendars. These pages have months and numbers, but are not dated for any specific year so they can be used any time. One of these perpetual calendars is a Future Log with the same setup as the Future Log in the bullet journal notebooks. I like to use these pages for an overview of monthly goals, but they can be used in limitless ways. The other perpetual calendar in the Rhodia Goalbook has the days as columns with the day numbers. This is a great place to write scheduled events for future dates. Rediscover Analog has lots of ideas for other ways to use these perpetual calendars including as a When Did I Last reference, or as a tracker. You can see all her ideas in her post. How many ways can you think of to use these pages? 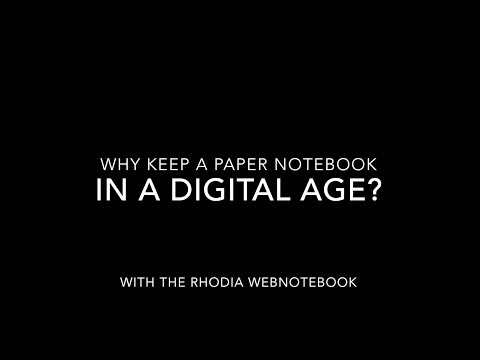 You can find more information about the Rhodia Goalbook including where to buy here.